How Geothermal Systems Work - AMHAC, Corp.
Geothermal systems work on a different principle than conventional furnace/air conditioning systems. 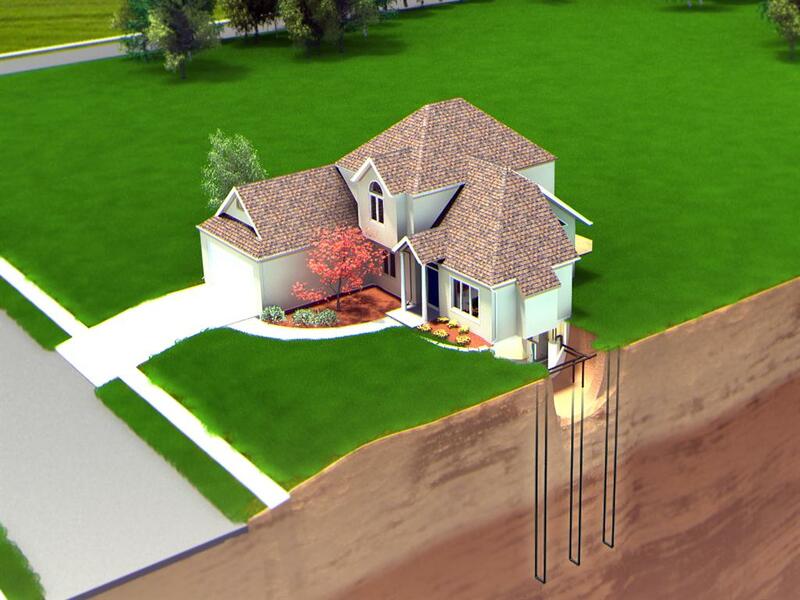 While furnaces must create heat by burning a fuel – natural gas, propane or oil, the geothermal system collects the Earth’s natural heat in the winter through a series of pipes, called a loop, installed below the surface of the ground or submersed in a pond or lake. Fluid circulating in the loop carries this heat to the home. The technology relies on the fact that the Earth (beneath the surface) remains at a relatively constant temperature throughout the year, warmer than the air above it during the winter and cooler in the summer. The benefit of ground source heat pumps is they concentrate naturally existing heat, rather than by producing heat through the combustion of fossil fuels. Typically, electric power is used only to operate the unit’s fan, compressor and pump. So, unlike conventional systems, geothermal systems do not burn fossil fuel to generate heat–they simply transfer heat to and from the earth. The geothermal heat pump takes advantage of this by transferring heat stored in the earth or in ground water into a building during the winter, and transferring it out of the building and back into the ground during the summer.